I agree with the last sentence in the article. It will have golf-cart range, run at city speeds (50-MPH? ), and have no customer service, but...I have no doubt he will pull it off. And...at 3 wheels it will be considered a motorcycle. Hope it has a good roll cage and don't forget to ware your helmet. I wish them the best for success. But here is the kind of thing that bugs me. I opened their webpage, looked at the eye candy and started reading the marketing pitch. Immediately saw this: "You likely know the name SONDORS from our electric bike. They said we couldn’t make an electric bike for $500. But we showed them that we could. With the help of thousands of supporters, we raised $10 million and delivered 15,000 electric bikes." Those numbers sounded off, so I did the math: $10M / 15k bikes = $666.66 per bike. Not $500 per bike. Not dissing their bikes or proposed trike, but jeez. What's the old line? Something like "Please don't tell my mom I work in marketing, she thinks I play piano in a whorehouse." Much furious tapping there in the [C]omments section on that "Truth about Cars" site. Wen had a lot of suspicion when he launched his ebike campaign, though he seems to have pulled it off successfully. It would be great if he can do it again for electric cars. Only time will tell. The Arcimoto is a very sophisticated design, but unfortunately they have gone for the open Twizzy/golf cart thing, making it much less practical outside southern California. This will be interesting to watch. He more or less pulled off the ebike thing, although the delivered result did not meet the original specifications. That timeline looks incredibly aggressive. The Sondors ebike did not deliver on many of the initial promises and shipping it was a large expense compared to the cost of the bike. People should probably expect $4-5k delivery fees based on track record. I just can't see how someone without a boatload of experience in the auto industry is going to pull this off. "Motorcycle" makes the job of meeting federal regs at least 10x easier...no air bags, no crush zones, looser EPA regs, no bumpers required, no requirement for a laminated safety glass windshield.... Customers may want or expect "car like" safety equipment, but they shouldn't, it's a motorcycle. That expectation/delivery difference may hurt sales. I dont think i would want to drive any vehicle that used a sheet of glass infront of me that wasnt laminated . I understand your explanation of the definition of car vs motorbike, but with respect, its very poor logic. Sitting ON a motor bike, and sitting IN a car. (or any enclosed vehicle). subjects the human to very different set of safety risks. Is anyone going to wear leather/cordex suits and a helmet to drive this 3 wheeler ? ..not likely, because they dont expect to be thrown down the road in an accident,..because they will be trapped in the vehicle..just like a car driver. But..they wont have the benefit of the same levels of safety equipment or testing !!! My sister bought a used Xebra for something like $6000, quickly ran the SLAs into the ground, let it sit in her garage for years until she married and her husband gave her crap about it, then sold it to a junk man for like $200. I wish she'd asked me first whether I wanted to buy it. I'd have paid her more than that just to get the electrical components. Dumb as that is, consider that the original buyer lost about as much on the car as she did. If this Sonders car comes to fruition, I imagine a lot of them will have a similar tale to that of my sister's Xebra. Chalo wrote: Zap Xebra, anyone? How soon we forget histories failed EV's. The Zap brand took off in my area and I saw a surprising amount of them for just over a year. Now I haven't seen a single one in years. They were awful. I had a good laugh when I saw one tip while turning/braking at the same time. I think they will make a great comparison to what Sondors is going to come out with. Most likely something that feels like a golf cart or carnival ride inside. No support from any mechanic or manufacture after the fact. Then they will all rot. "I don't think I would want to drive any vehicle that used a sheet of glass in front of me that wasn't laminated "... some kit cars and most motorcycles don't use glass of any sort for a windshield...hard coated polycarbonate is lighter and more crack resistant than any glass. Very prone to scratches, so no windshield wipers...but the Sondors is a motorcycle, remember? That was my point, people buying the Sondors trike need to recognize that it's not a car in the ordinary sense, but that by not having to meet "car" regulations, Sondors has a much better chance of pulling off a saleable product. I hope the distinction is made clear to potential buyers. 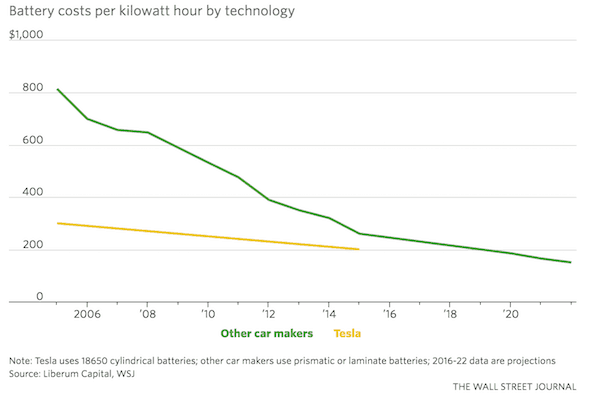 The whole "orphan in ten years" discussion is silly, that's been the fate of 75% of all production electric bikes over the last 30 years, and probably a similar percentage of the electric cars. A friend of mine has one of the Zap Shuttle vans, they use it for their electrical contracting business, bought it from some California Utility with fairly low miles. He says the thing lacks the power to make it up hills with the tools they usually carry therefore they use other vehicles most of the time. I told him to look into ditching the SLA batteries and upgrading the controller if possible. I don't know if getting more power out of the motor those things come with is possible, nifty little van though if it was actually usable and had more than a 10 mile range. Definitely go with a lithium pack. If the motor is brushed, it can likely take 1/3rd more voltage without any significant increase in the wear-rate of the brushes [due to arc-ing]. If it is 36V, go to 48V...if it is 48V, go to 60V / 72V. Controllers get somewhat pricey-er above 72V. If the motor is brushless, you have many more options. As far as the amps go, add a temp sensor and a motor-fan...and slowly raise the amps until its still below 93C / 200F as a temporary peak of less than five seconds [during acceleration]. IIRC he was saying the thing has something like 600 lbs of SLA's, just replacing those should make the vehicle tackle hills a bit better, say if the weight of the pack was maybe 200 lbs? Plus getting some more juice flowing through the motor, I think he'd be a lot more enthused about using it-was somewhat disappointed after paying a fair amount for the vehicle, finding out it's well...........a Zap. Another friend of mine bought a Zebra back when they came out. Didn't see him for a while and then asked him how he liked it, he said he sold it saying it was a dangerous POS with a really crappy range. My sister paid $6400 for a used Zap Xebra, and sold it basically unused a few years later for I think $200. I would have paid her a lot more for salvage value only, but she didn't ask me. Chalo wrote: My sister paid $6400 for a used Zap Xebra, and sold it basically unused a few years later for I think $200. I would have paid her a lot more for salvage value only, but she didn't ask me. The Zap Shuttle Van is actually a pretty cool vehicle, it kind of reminds me of the gen1 Toyota vans a bit (which I really liked) and I wouldn't mind having one myself if I could buy it cheap enough and upgrade it. The ZXebra reminded me of a nearly disposable meter maid wagon.